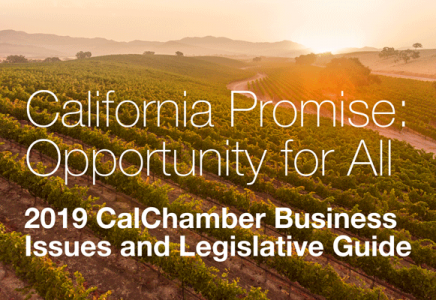 Twelve California Chamber of Commerce member companies have been selected by the Governor’s Office of Business and Economic Development (GO-Biz) as recipients of the California Competes Tax Credit. The California Competes Tax Credit (CCTC) committee recently approved $69 million in tax credits for 90 companies expanding and creating jobs in California. The awards are projected to create 6,236 jobs and make $1.2 billion worth of new capital equipment investments across California, according to GO-Biz. Synder, Inc; water membrane filtration manufacturing. Governor Brown created the California Competes Tax Credit in 2013 to focus on helping businesses grow and stay in California. Since 2014, GO-Biz has allocated $622.8 million to 865 companies projected to create 83,414 new jobs and make $15.7 billion in new investments. The complete list of approved companies and award amounts is posted at business.ca.gov.